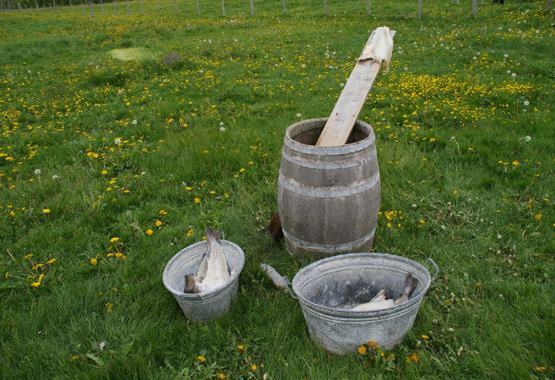 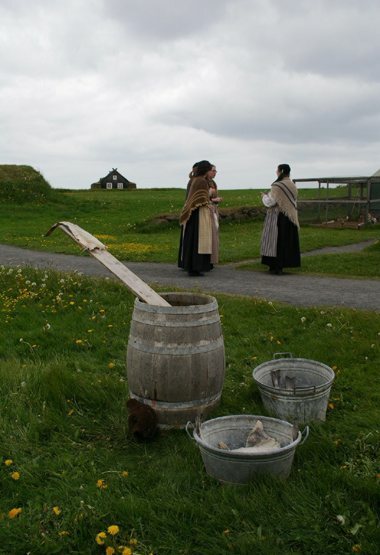 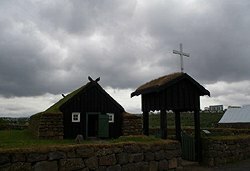 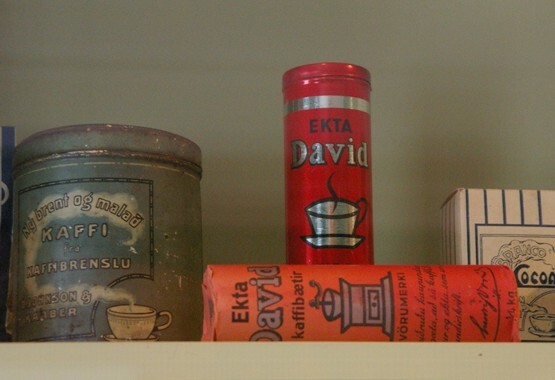 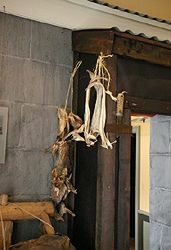 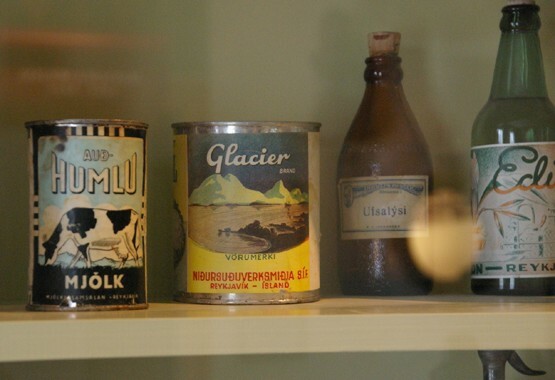 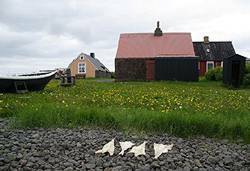 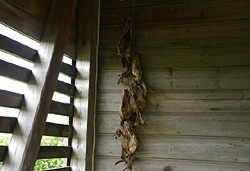 Sunday, 12 June: An afternoon out at Arbaejarsafn, an open-air folk museum about architecture and lifestyles from different eras in the history of Iceland. There are houses from different periods (not reconstructions but the original houses moved here! 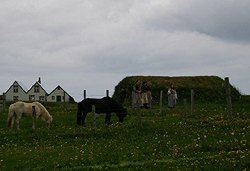 - except for the farm houses, which still stand at their original sites), period artifacts and photographic and other documentations from throughout the history, farm animals, museum employees dressed up in period costumes walking around, playing music or simply sitting as guards (all that may sound tacky, but the atmosphere's actually very nice) and... fish, of course! A church & a vestry. The first fish we came across, drying on stones on the ground. ...and hanging inside a shed, too. 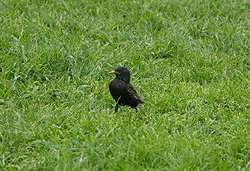 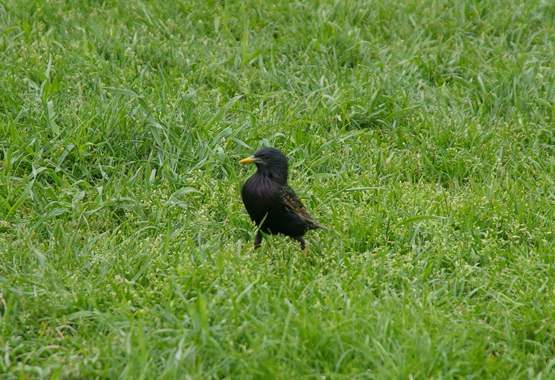 A little bird having a walk. We went inside some of the more modern houses, eg. 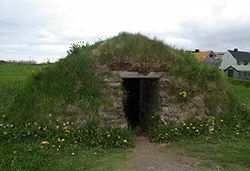 this one built at Laekjargata 4 in 1852. 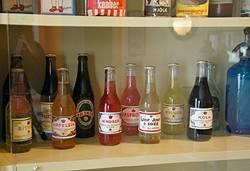 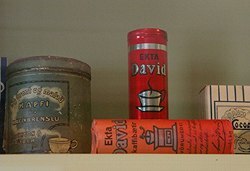 A selection of old soft drink bottles. 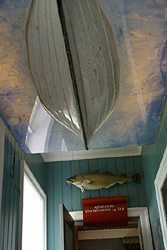 ... and a fake fish too.